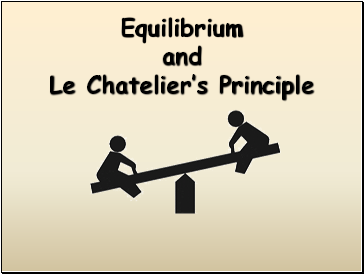 When you take something away from a system at equilibrium, the system shifts in such a way as to replace what you’ve taken away. 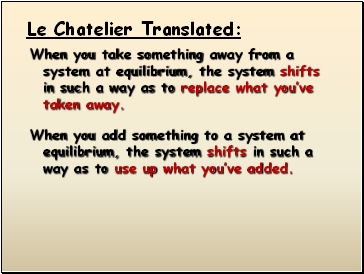 When you add something to a system at equilibrium, the system shifts in such a way as to use up what you’ve added. 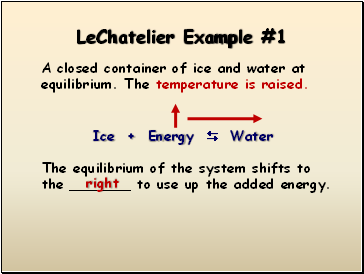 A closed container of ice and water at equilibrium. The temperature is raised. 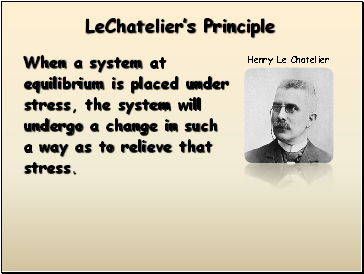 The equilibrium of the system shifts to the _ to use up the added energy. A closed container of N2O4 and NO2 at equilibrium. NO2 is added to the container. 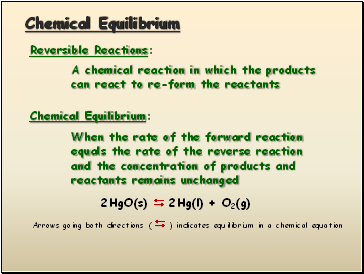 The equilibrium of the system shifts to the _ to use up the added NO2. 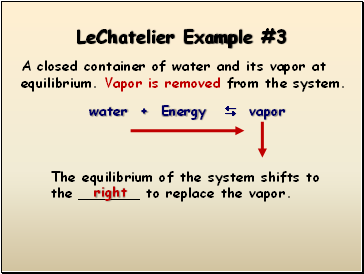 A closed container of water and its vapor at equilibrium. Vapor is removed from the system. 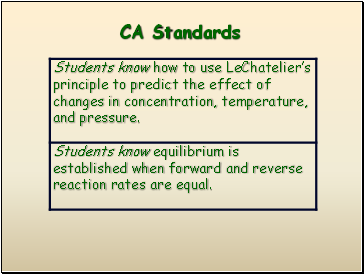 The equilibrium of the system shifts to the _ to replace the vapor. 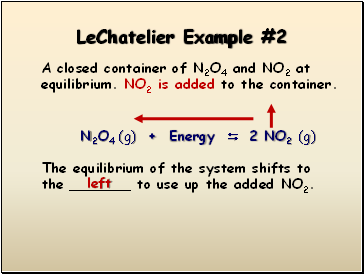 A closed container of N2O4 and NO2 at equilibrium. The pressure is increased. 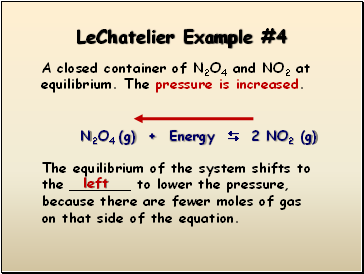 The equilibrium of the system shifts to the _ to lower the pressure, because there are fewer moles of gas on that side of the equation.